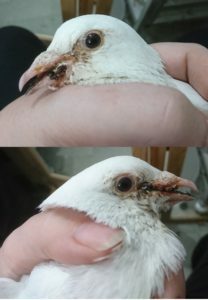 Max came to us suffering from a virus. 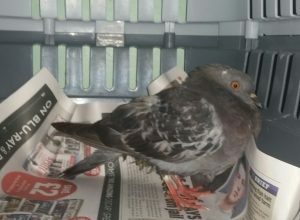 He made a full recovery and has since been returned to the wild. 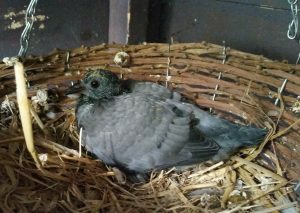 Oops was born in our aviary when one of our guests laid a sneaky egg! 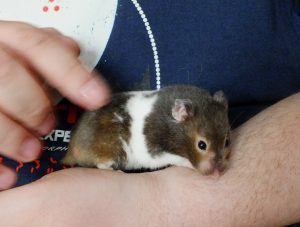 She has since been released to the wild. 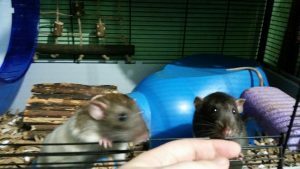 These boys were handed in as their people weren't able to handle them. 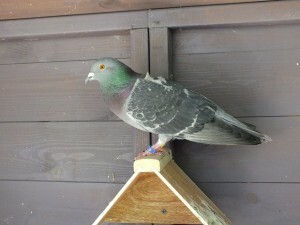 After neutering they now have a lovely new home with experienced owners and lots of girlfriends. 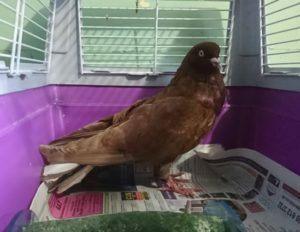 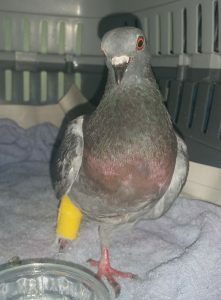 Rita came to us with a severe virus and badly broken wing. 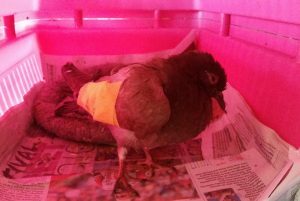 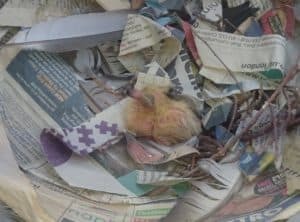 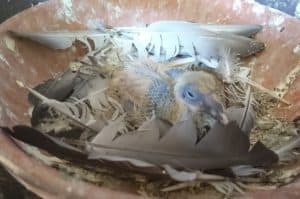 We weren't sure she would survive but felt sure she would be here permanently as her wing was such a mess. 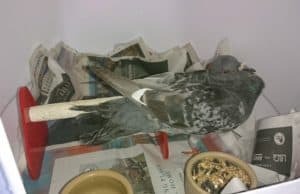 To our surprise she made an amazing recovery and has since been returned to the wild. 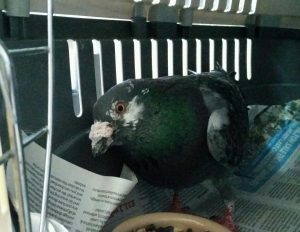 Harry came to us with a swollen wing. 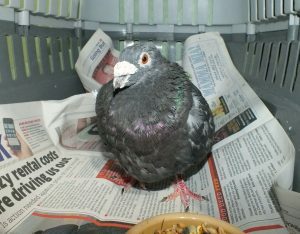 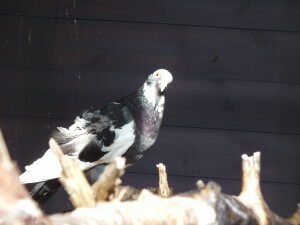 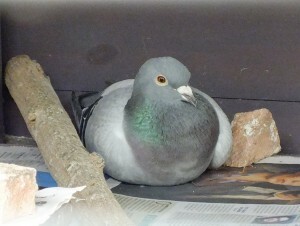 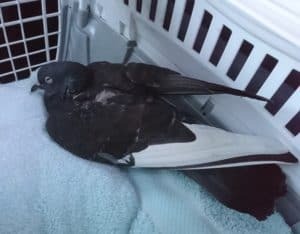 Unfortunately he didn't recover the ability to fly but he is a chilled out sort of chap so he now lives in an aviary. 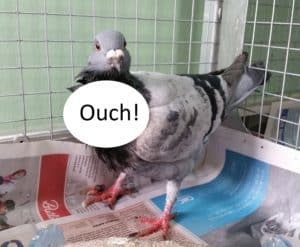 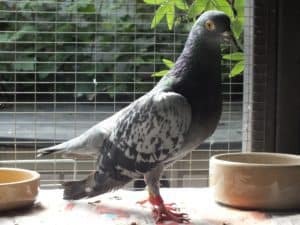 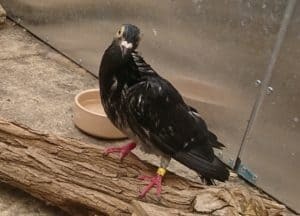 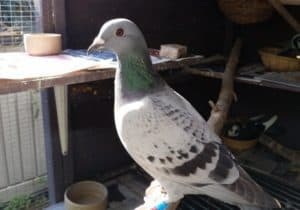 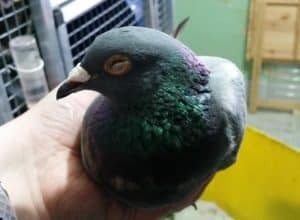 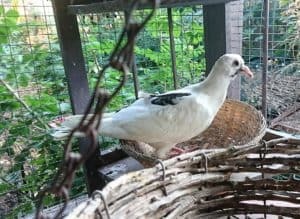 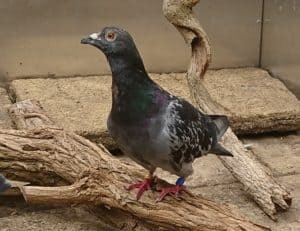 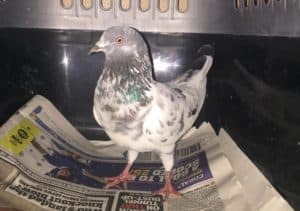 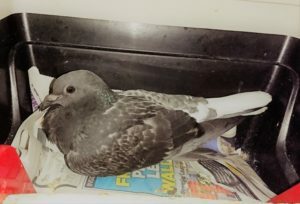 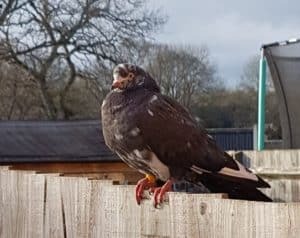 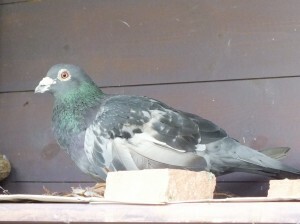 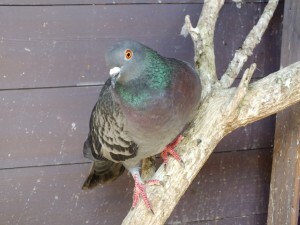 Blue was a lost racing pigeon. 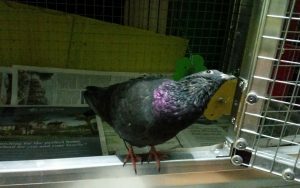 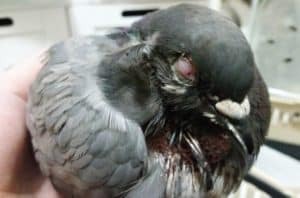 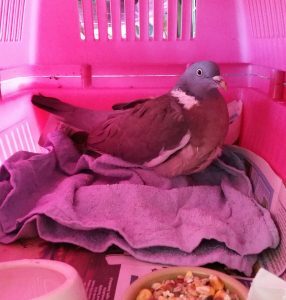 He wasn't tame so he was rehabilitated with wild pigeons and has since been released. 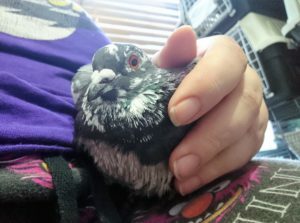 Spot came to us unable to fly. 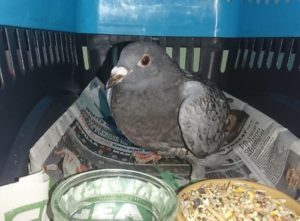 She was treated for coccidiosis and has since been returned to the wild. 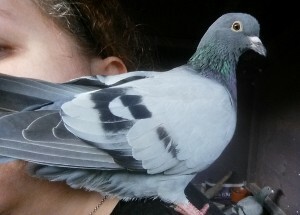 Cece came to us when the child she was bought for lost interest. 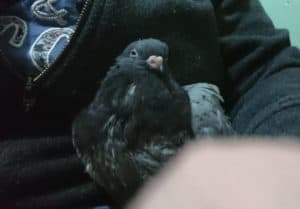 She has since found a lovely new home. 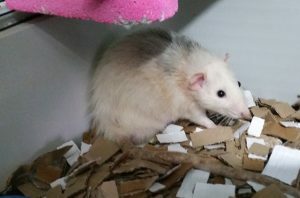 Ralph came to us when his brother died. 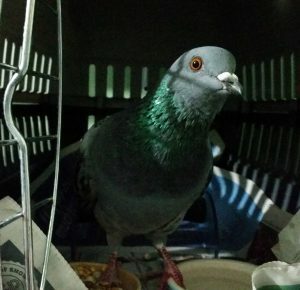 He hadn't been handled much so was tense and afraid. 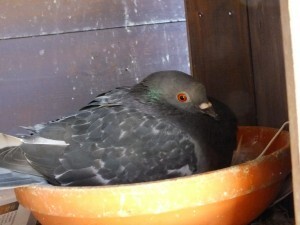 He was neutered which calmed him considerably and he now lives with some girlfriends. 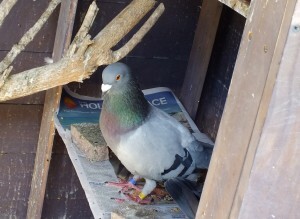 Martine and Ivan were born in the loft of a house in Wallington. 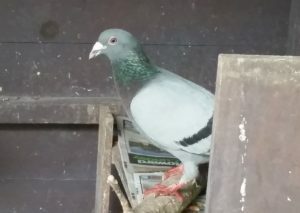 Their habit of stomping about at 5am meant they weren't particularly welcomed so we removed them and advised the householder on preventing future visits. 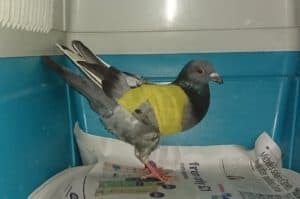 They have since been released. 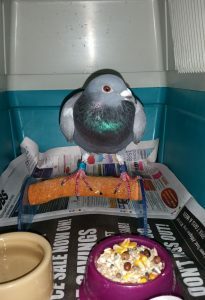 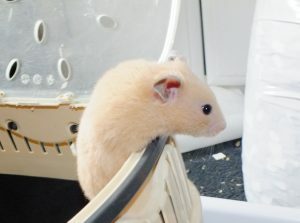 Arty was found with a broken leg. 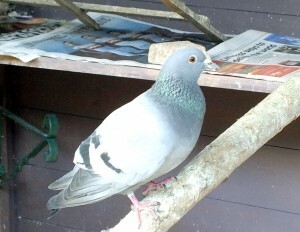 It healed well and he has since been returned to the wild.